Here you will find DormCo's variety of dorm room mirrors. You will find a great variety of Peel N Stick mirrors that don't take up physical space on your dorm desk. 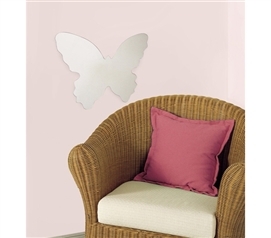 Mirrors that peel and stick to your dorm walls without damaging dorm walls are dorm essentials for college. Mirrors for dorms can be cool dorm items and also be multi-purpose like our Dorm Full Length Mirror Jewelry Stands. These are great because they are full length to show your whole outfit - you won't be able to find any full length mirrors in college, either in the dorm bathroom or in your dorm room, so these jewelry stands will give you the full length mirror you need while keeping your jewelry organized! No student wants to walk down to the community bathroom just to look in the mirror! 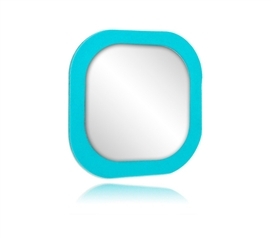 Our Peel N Stick Wall Mirrors are dorm necessities that every college student can use. These mirrors stick to your dorm wall or door without damaging the paint or ripping off the wall when you remove it at the end of the year. 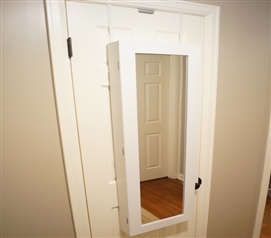 You'll also find our multi-purpose lockable jewelry cabinets with full length mirrors! Your dorm room decor is not complete until you add dorm mirrors as a functional use or as a dorm decorating idea. DormCo offers high school graduates and college students the most college supplies at the cheapest price!